There was a time when Having a resident ghost at your establishment in Ybor City was a quietly whispered secret. Best not to stir things up, the prevailinig logic went, might affect business. Today, ghosts have become big business and accordingly, they are coming out of the closet everywhere. If a business in Ybor City doesn’t have a haunting, they might just invent one to stay up with the trends. The OFFICIAL Ybor City Ghost Tour is fortunate that we don’t have to shake would-be spirits out of the rafters, so to speak. On a nightly basis we visit the two most well-established haunted sites in Ybor, the Cuban Club and the Don Vicente Inn. The amount of paranormal activity that we have experienced in these two sites could practically fill a book, and you can get a feel for some of that by visiting our Facebook page. These occurences, and our outstanding guides, have earned us the distinction of being named the Number 1 Ghost Tour in the U.S. But things are changing in Ybor City. A new hotel is scheduled along 7th Ave and there is talk of new uses for some old historic buildings. It is conceivable now, for the first time, that a day may come when access to some of these extraordinary sites might be restricted. But that is for the future. For now, at least, we still have exclusive access to these two amazing sites. So why not take advantage while the opportunity is still here. Join us for one of our nightly tours soon. Or one day you might end up chasing fake ghosts around town. Why might a ghost appear to the naked eye or to be captured on digital or film media? Is it a change in the environment? A momentary hole in the quantum field? A slipping in the phase between dimensions? Some believe that when a ghost is seen by the naked eye, it is because of something different in the energy of the viewer…a shift in their energy being. Often children see apparitions. And young pre-pubescent girls seem to have the front row seat, often sensing and seeing phenomenon no one else does, indicating it could even be something in our biology. I am sure there is some element of truth in all of these suppositions. But still, this would not explain the appearance in photos and videos. These guesses are all centered on ‘outward’ explanations, based on factors having nothing to do with the entity itself. This seems to miss a major point. Could it be that they ‘want’ to be seen or recorded? One explanation of ghosts is that they are energetic impressions left in physical matter that ‘replays’ itself over and over, like a video tape looped. So therefore objects and buildings are haunted because of ‘something left behind’. And maybe this is true in some cases. But to except this in a blanket way discounts those times when ghosts ‘communicate’ through EVP’s or show some conscious decision making process. Definitely, in the countless ghost stories that have been recorded over time there is often conscious reactive movement. I believe that consciousness is at work. It seems that there is some aspect of ego still present. Very often ghost’s show up much younger than their actual age at death. It is relatively common for a ghost who died at sixty or seventy years of age to manifest as a thirty year old. There are many ghost stories of a family member who does not recognize their deceased grandma or grandpa because they did not know them as a younger person. Coincidently, psychological studies indicate that many people who age past forty or fifty, continue to think of themselves as a thirty year old. It is a time when one is no longer viewed as ‘young’ but also not as ‘old’. Many (who as they age) are aware of changes in eye sight or joints or have facial wrinkles, but do not really feel that different than they did at thirty years of age. And…how are you ‘supposed’ to feel as a sixty year old? 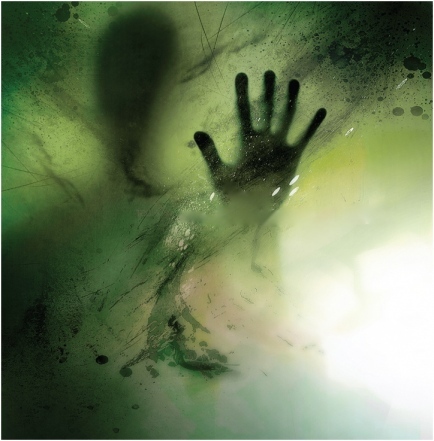 Could it be that ‘how you see yourself’, is how you show up…as a ghost? This would underscore the idea that ghosts are energistic beings sewn together by consciousness. And if this is so, then the next question of inquiry that should intrigue each of us, the ‘living’, is…how do these conscious beings see us? What does their view into our dimension look like to them? Particularly since time and space does not exist for them as it does for us. Are they looking through a veil at a world they once understood but now has changed? And…do they know what they have become? It is a deeper question worth pondering. There are varied kinds of ghost tours across the country. I have been on many. They differ and often each has something to recommend them. 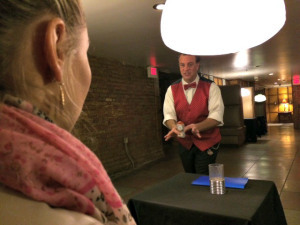 Some are entertaining parties that have costumed guides who are more prone to being ‘scary’ than being serious investigations of the paranormal. Some are even thinly disguised ‘pub crawls’. Some are very strong on local history. Some are so serious as investigations that they become almost ‘academic’ courses in the world of spirit. And for participants this variety may offer something more suited to each depending on their goal for the evening. We have attempted to create a balance of history, stories and investigations of interior sites that are truly haunted. All of this leads me to a simple conclusion about a not so simple enterprise. In order for ghost tours to succeed and continue so that guides can be paid for their efforts and skill, to remain sustainable and for the tour to survive as a business and therefore as a ‘product’…and that guests who are not deeply into the paranormal, who are simply looking for an enjoyable experience and a ‘good time’ …and as well has the kind of content and credibility that more serious devotees can appreciate…requires that you must be honest and respectful with the subject matter. In short, do what you love and make sure it’s something you believe in and the rest will follow. 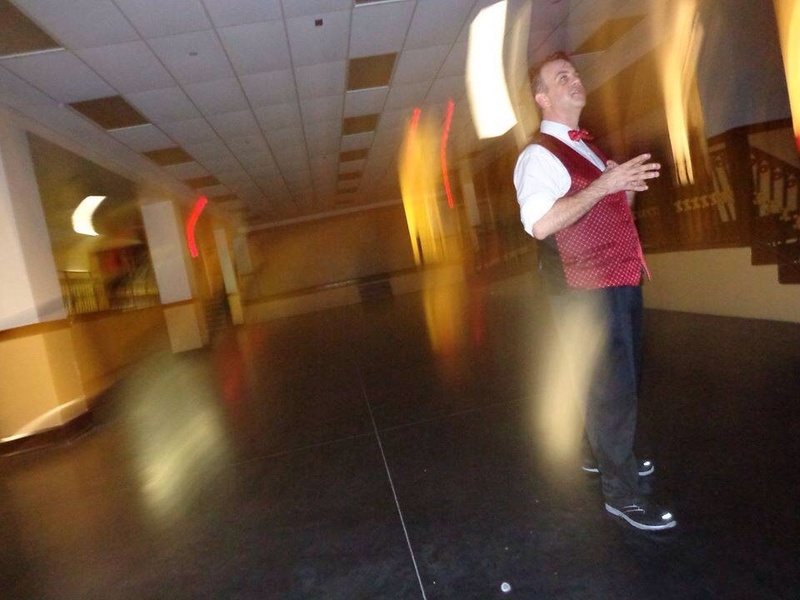 For those of us who are guides on the Official Ybor Ghost Tour, a flood of amazing experiences have been occurring over the last several years. Guests having powerful feelings and experiences. 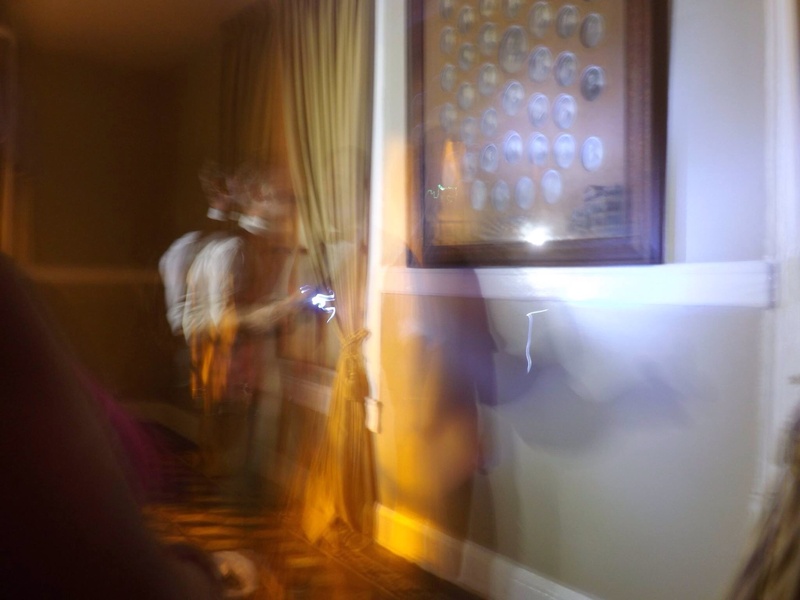 Photo captures of not only orbs and ‘energy forms’…but even full body apparitions inside buildings. Phone batteries draining. Camera batteries draining. The list goes on. (More on these experiences forthcoming in future posts). On a recent tour as we investigated the lobby floor of the old Cuban Club with EMF meters buzzing and guests capturing strange images, a woman in the group turned to me and said, “You have an interesting job!” I responded “Yes…you have no idea”.